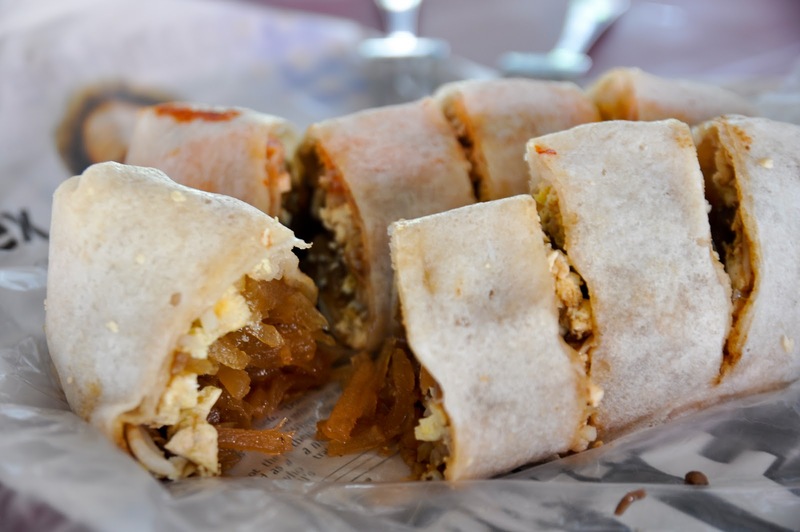 Cited from wikipedia, Popiah originated from the province of Fujian and Chaozhou. It can be served as an appetizer, entree, or as a desert. I particularly like having it as part of my breakfast meal or during tea time. The filling of a typical popiah consists of steam turnip (aka ban kuang), shredded omelette, fried tofu, shrimps, bean sprout topped with fried shallots and mixed with hoisin sauce with or without sambal (chili sauce). This stall in front of Madam King's departmental store is always crowded with people. One has to take number and wait for 15-30 mins depending on the amount of people. 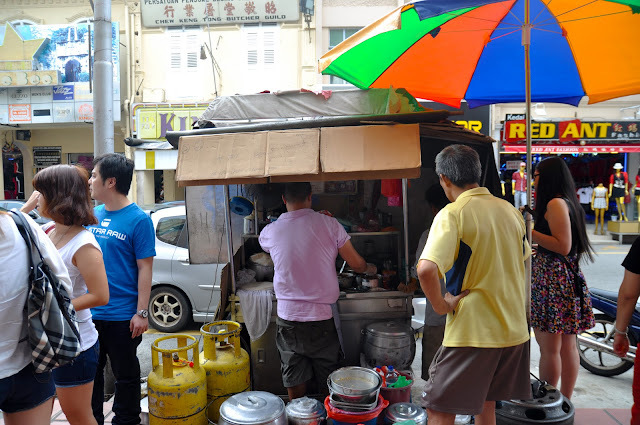 I would highly recommend this popiah stall. I guess the only downside to it is its long Q and the strong lard smell. certainly be one of the best in its field. Great blog! Now RM 5. I went there last Sunday at 12 noon and there was no queue at all. 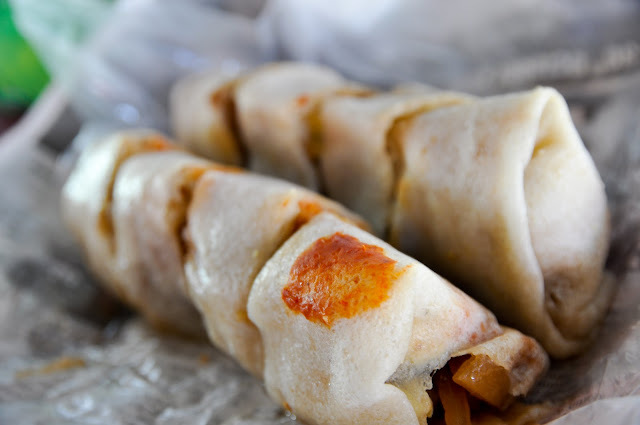 Got to tell them not to put the pieces of deep fried pork lard inside the popiah.